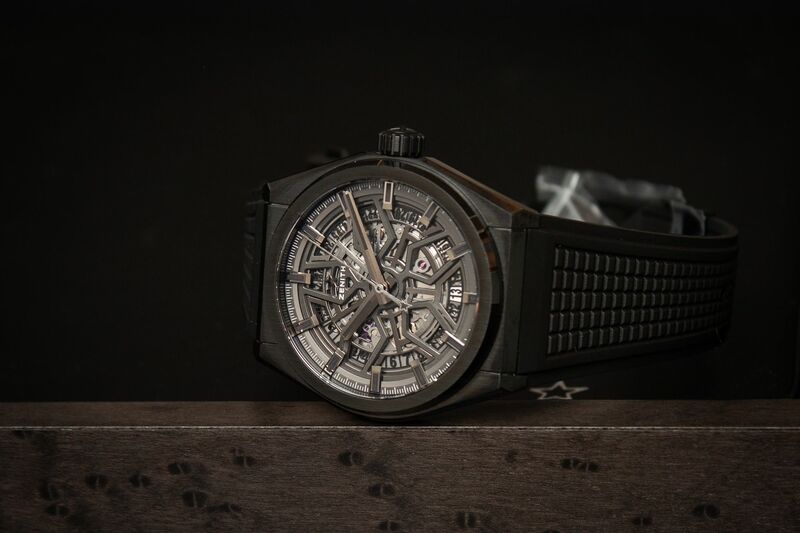 The Zenith Defy Classic 49.9000.670/77.R782 features a black ceramic case. The openworked dial features hours, minutes, central seconds and a date indicator at 6 o'clock. 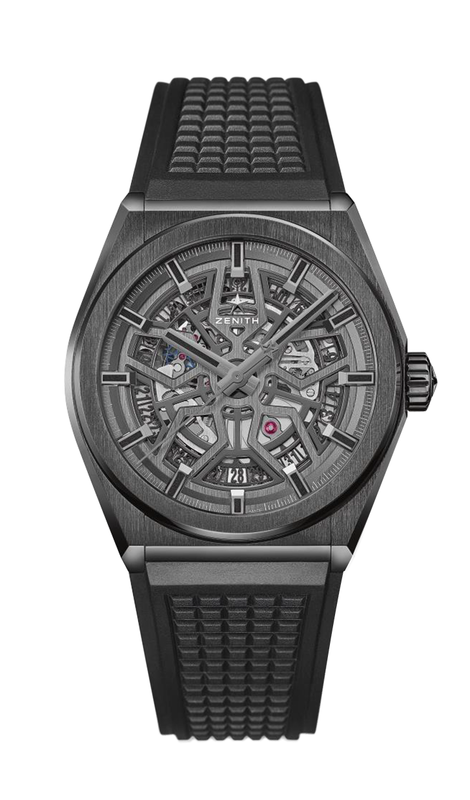 This model is powered by the self-winding movement, Elite 670 SK, with 48 hours power reserve. The automatic movement can be admired through the transparent sapphire crystal case-back. The Defy Classic is presented on a black rubber strap with a DLC-coated titanium folding clasp.